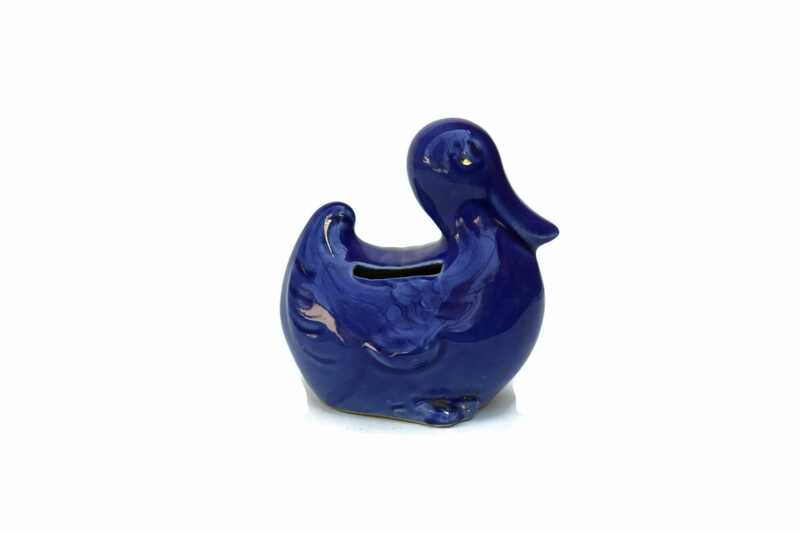 This adorable French antique duck money box dates to the early 1920's. 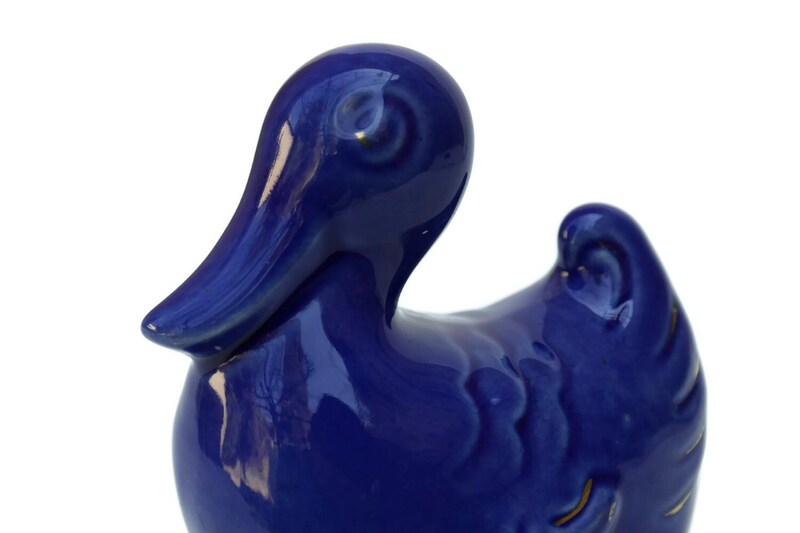 It has been created in the form of a little duck and the ceramic has been glazed in a deep shade of blue with gold highlights. 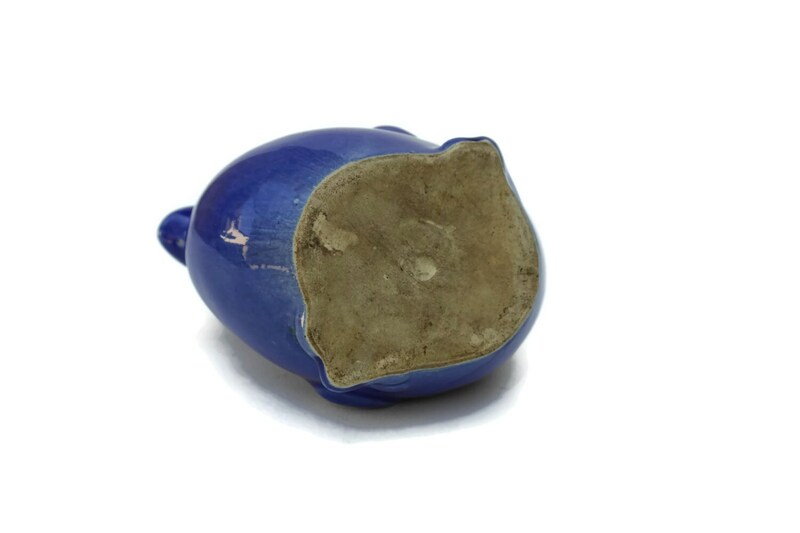 The figural money box does not have an opening to remove the coins and would have to be smashed open to access your savings! 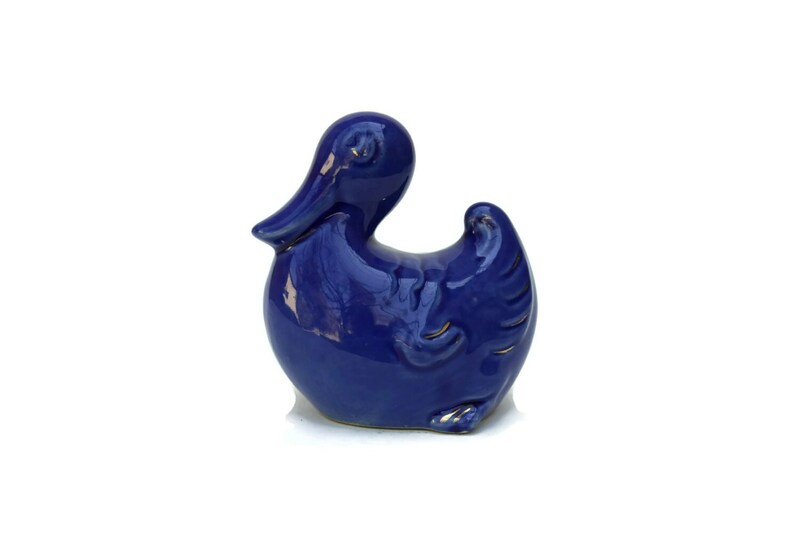 4 1/2" Tall x 4 1/2" Wide (12 cm x 12 cm). 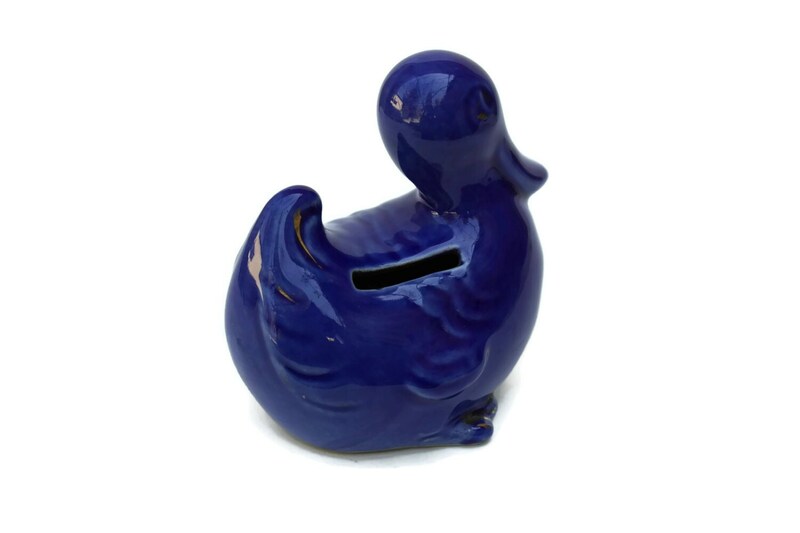 The money box is in very good antique condition with light signs of age and wear. There is some loss to the gold painted highlights. There are no chips or cracks.